Home Jewelry Necklaces Roberto Coin Tiny Treasures Diamond T Necklace in 18-Karat White Gold. 18"
This diamond necklace from Roberto Coin is a treasure. 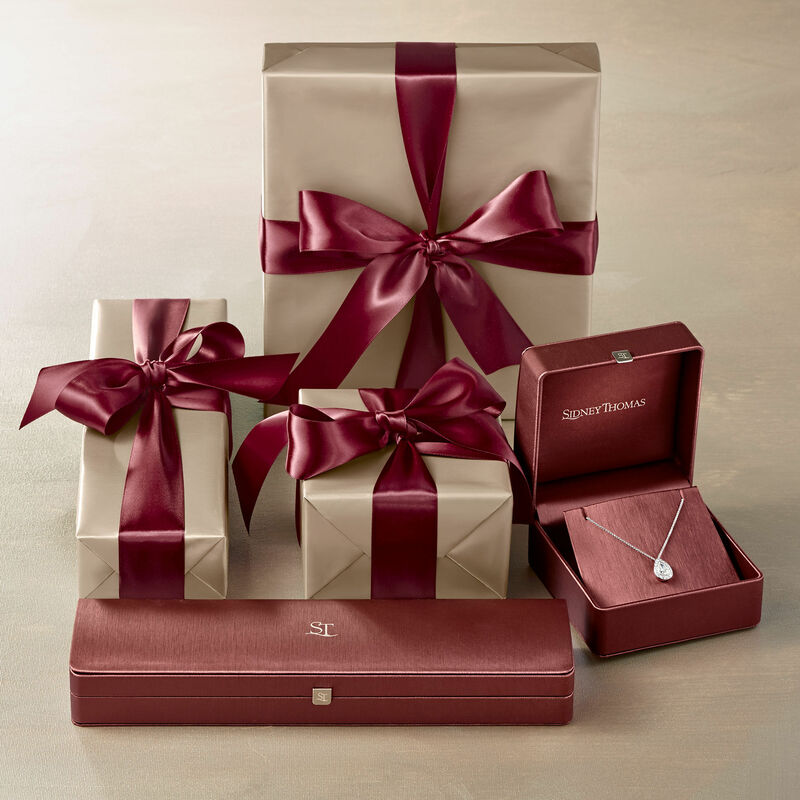 Part of the world-renowned designer's Tiny Treasures collection, this charming 18-karat white gold necklace features a block-style letter "T" pendant encrusted with an array of sparkling .04 carat total weight diamond accents. It's a beautiful necklace fit for everyday wear, but with all the elegance of a special occasion piece.